Not getting a refund? 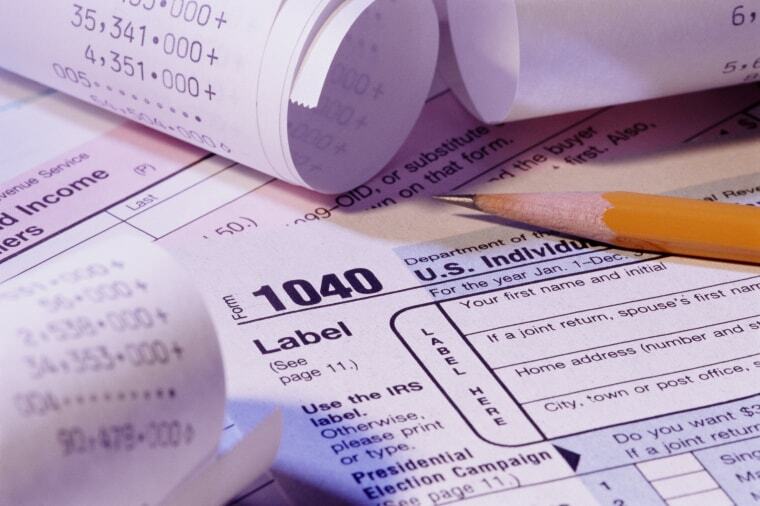 If you owe taxes and can't pay, filing on Tax Day is the best way to save. It's the 11th hour and you're slowly, but surely getting those 2017 taxes done. As you enter those W-2s and W-9s into your favorite tax prep software, you see it out of the corner of your eye: Your once destined-for-vacation tax refund is now squarely in the dreaded "taxes due" column. Suddenly, with just hours to spare, you find yourself scrambling to come up with hundreds or thousands of dollars you weren't quite prepared to pay. If you're knee-deep in tax-related turmoil, take a deep breath and resist the urge to panic. There are ways to make the best of a bad situation. "Problems don't get better if you ignore them," says Jean Chatzky, NBC News' financial editor. Chatzky sat down with NBC News BETTER ahead of Tax Day, which falls on Tuesday, April 17 this year, to share six of her best tips for dealing with a surprise tax bill. File, file, file. Although you're probably tempted to slam your computer shut and forget about filing for a few more weeks, don't. Chatzky says "You have to file. Not filing just makes everything worse and there are consequences, like tax penalties." If you're in the middle of tax prep and you're not sure what to do next, call the IRS' tax help line. They'll walk you through the best course of action. But, remember: always file your taxes. Find the cash to pay in full if you have it. Chatzky says that cash is the always the best way to pay for your taxes. Why? You'll only pay what you owe, no more. Rather than paying with plastic, which comes with additional fees if you don't pay it off right away, take a hard look at your monthly expenses for that extra dough. "If you're pre-paying a mortgage or student loan (which have lower interest rates), consider using that money toward your tax bill this month," Chatzky advises. Or, you could just pay the minimum on your credit cards this month so that you can pay the tax bill now and get it out of the way. Pay part of your taxes now. If you have only part of your tax bill available in cash, pay as much as you can to reduce interest charges and a late payment penalty. Consider the IRS' installment plan. If you owe less than $10,000 and can't come up with the cash, take the path of least resistance and go for the installment plan. "It's almost automatic and the fees are almost always less than a credit card," Chatzky says. Do the math on credit cards and loans. If you need to tap into credit cards, a home equity line of credit or take out a loan to pay your taxes, the most important thing is to "compare the fees and look at the real numbers of what it's going to cost you" she advises. And if you're tempted to use a 0% interest credit card, she says "it's not so much the interest rate, but the cost of the transaction, which is usually a couple of percentage points" which can add up, too. Get ahead of next year's tax bill. To avoid a tax bill in 2019, "the first thing you should do is look at your withholding on your W-4. And that's a good tip for everyone now that the tax code has changed. If you're income is relatively stable, it makes sense to increase your withholding to enough so you're not surprised again next year," Chatzky says. Or, you can create a Tax Day slush fund and funnel as much as you can into an automatic savings plan starting today.